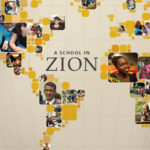 Welcome to BYU-Pathway Worldwide’s Annual Report. Within, you will read about the organization’s strategic priorities, enrollment statistics, key milestones, as well as various stories featuring PathwayConnect and BYU-Idaho online degree-seeking students. For more information about BYU-Pathway and its offerings, visit byupathway.lds.org. BYU-Pathway Worldwide is an organization of The Church of Jesus Christ of Latter-day Saints’ Church Educational System (CES) and is tasked with overseeing all online higher education within the Church. Its primary programs include PathwayConnect and BYU-Idaho online degrees. Students are participating from more than 500 locations around the world, serving more than 41,000 students.